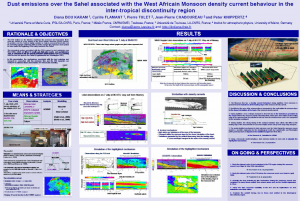 B. Pospichal, D. Bou Karam , S. Crewell, C. Flamant, A. Hünerbein, O. Bock, F. Saïd (2009): Diurnal cycle of the inter-tropical discontinuity over West Africa analysed by remote sensing and mesoscale modelling, submitted to QJRMS. The diurnal cycle of the Inter-tropical discontinuity (ITD), i.e. 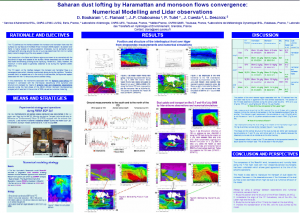 the interface at the ground between the moist monsoon air and the dry Harmattan air, is an important factor in the West African monsoon system. 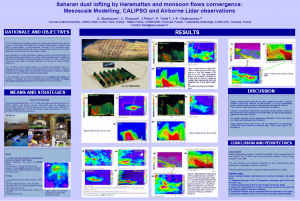 During the whole year of 2006, high resolution ground-based remote-sensing measurements have been performed in the area of Djougou, Benin which made it possible to observe the ITD and the associated sharp gradient of temperature and humidity in detail. 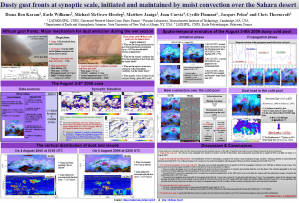 In order to extend the point measurements to a 3D view of the ITD and to enhance the knowledge of the processes around the ITD, the mesoscale atmospheric model MesoNH has been run for a 84-hours period in April 2006. 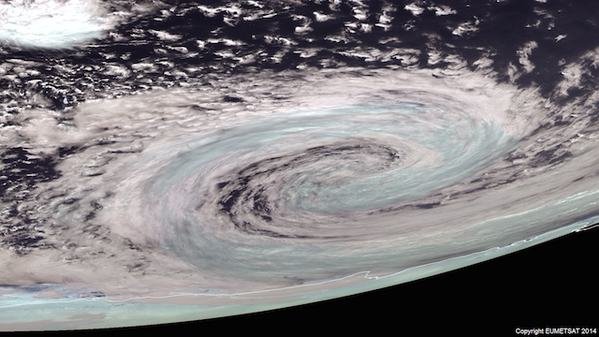 In addition Meteosat infrared observations have been used to determine the ITD position and its movement. From these observations a northward propagation of the moist air front (ITD) of 8-12 m s-1 has been calculated. The model turned out to match well with the observations: For example, the time of front arrival in Djougou is simulated with a maximum error of about 1 hour and the speed of the ITD is consistent with Meteosat images. 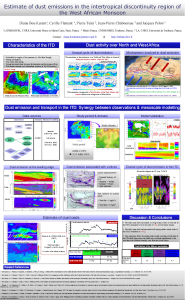 This agreement suggests the use of the model to further describe processes in the lower atmosphere.